12/03/2018 New Shop! Curry & Steak FRIENDS "OTOMODACHI"
Curry & Steak FRIENDS "OTOMODACHI" opened in September and is located very close to Shioiri Station on Keikyu Line. 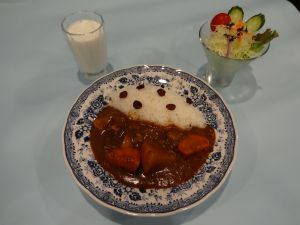 The restaurant offers appetizing and flavorsome curry, using 20 kinds of spices. During dinnertime, you can also enjoy "teppan-yaki" at your table! Pleasee stop by and try their tasty food.